Home Uncategorized Is Your Furnace Ready For A Snow Storm? A properly maintained furnace uses less fuel and lasts longer. A Green Apple Mechanical NJ HVAC professional will oil motors so they run more smoothly, check and replace the filters, and make sure your thermostat is set accurately. All of these make your furnace run more efficiently and use less energy. With proper maintenance, it can reduce your costs on your electricity bill, since 46% of the average family electricity bill is towards heating and cooling. Annual maintenance also reduces the chance of your furnace breaking down. By checking it annually, you can do necessary repairs then – rather than when it’s in the middle of a brutal snow storm. Regular annual checks of your furnace are vital for your health, finances, and safety. 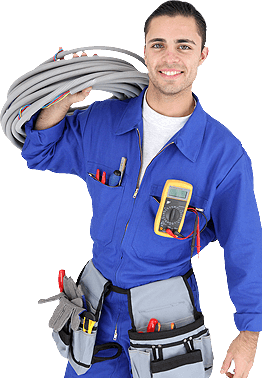 If you have any questions or concerns regarding any of your HVAC or plumbing needs call Green Apple Mechanical NJ toll-free @ 888-611-7191.